But we’ve been traveling to the hospital more often lately than the beach. So often in fact that we’ve finally made a Patient Packing List for mom. It’s amazing the things we might need in the hospital! *Advance Directive Folder with appropriate forms – if you pack nothing else, remember these forms! *List of all medications you are currently taking. Mom keeps a typed list with names, dosages, etc. Upon admitting, you will be asked what medications you are taking. Having this list ready makes it much easier than trying to remember all the medications correctly when you likely going to be too ill to want to talk. 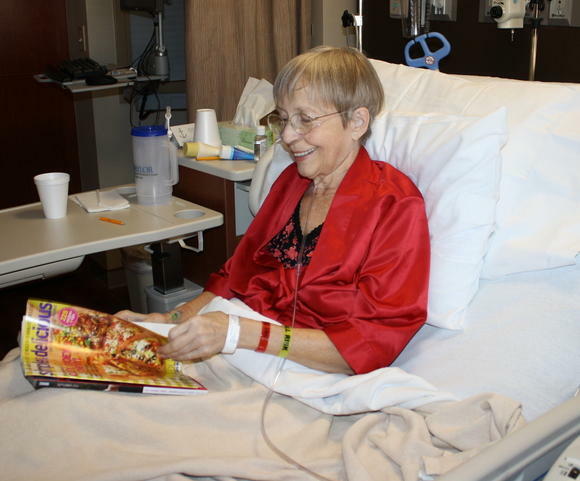 *Nightgowns/pajamas and robes – most hospitals allow you to wear your own, however, if you are having surgery or other procedures, the hospital gowns are more appropriate. And then your own nightwear works well during the recuperation time. *Footies or Socks - we like the kind with rubber grippies on the bottom – the hospital floors are usually waxed to within an inch of their life and are most slippery! This pancreatic cancer journey has taken us many places. Most of them unexpected. After all, who expects to get cancer? Or end up in a hospital bed? Mom’s hospital trips have been among the most unsettling and unpredictable places we’ve been. 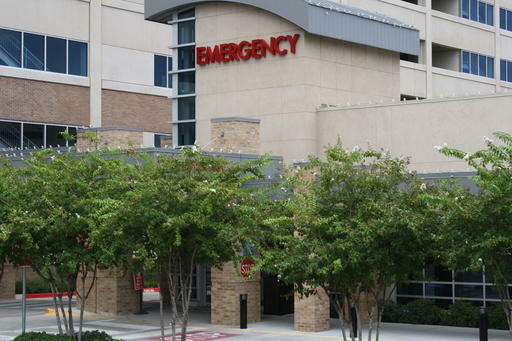 The first major hospital stay began with a rushed trip to the Emergency Room when her abdominal pain escalated overnight to “off the chart” proportions. We arrived at the ER with just her wallet, cell phone and the clothes on her back. Duh… None of us expected a prolonged hospital stay. Turned out she had an abscessed gallbladder that needed to come out STAT! We were immensely relieved that it wasn’t her cancer, but overwhelmed by the surgery just the same. She ended up in the hospital for a week recovering. The first thing we realized that we needed was her Advance Directives. The hospital wanted to keep a copy on record. No problem – drove home and got them. Then mom wanted some of her comfy pajamas. Drove home and got them. By the end of that week we had a staggering pile of “things” to take back home. We have stream-lined that Patient Packing List now, and whenever mom is heading into Emergency Room territory, we pack the bag and bring it with us, just in case. Simplifies the journey so much. You may find that your wallet and cell phone are all you need or want in the event of a hospital stay. The hospital will provide a gown, basic hygiene amenities and clean sheets. For many, that is all they require. Mom appears to require a bit more. If she has to be in the hospital she wants to feel as comfortable as possible. And it truly was nice to see her in pretty pajamas each day. I know she felt better for it. The Kindle and iPod also helped pass the time, of which you will have more than enough! * Your prescription medications – remember that list of all medications you are currently taking that you just gave to the nurse? Those are the medications the hospital will begin giving you (or adjusting them as physician feels necessary). You do NOT need to be taking your own meds on top of what the nurses will be giving you. This would set you up for some possibly severe complications. So leave all personal medications at home please! *And Lastly, but most importantly, Leave all valuables at home. The hospital is no place for those diamond earrings, large amounts of cash or expensive laptops. If you are taken out of the room for tests, they will be left unattended. Too chancy in our books. Leave the good stuff at home! 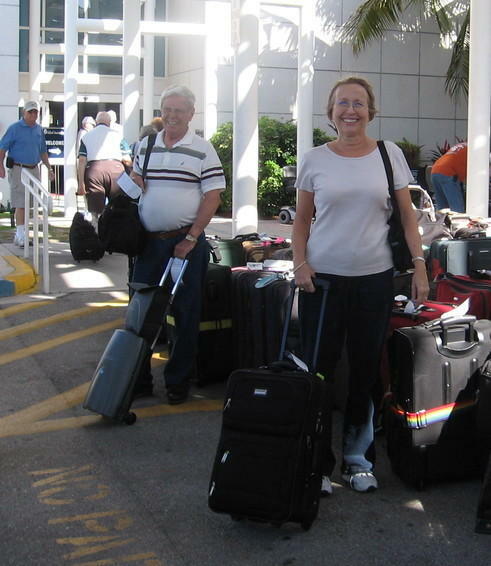 Perhaps this Practical Patient Packing List will help you plan your next hospital stay. My prayer, however, would be that your next trip will be to some beautiful tropical beach somewhere, rather than the nearest hospital. I beleive packing for that trip will be a pleasure!